Barbadian Prime Minister Freundel Stuart, Senior Counsel Rex McKay and Speaker of the National Assembly Dr Barton Scotland head this year’s national awards announced last night at the 50th independence flag raising at D’Urban Park. They are to be conferred with the Order of Roraima, Guyana’s second highest national award. 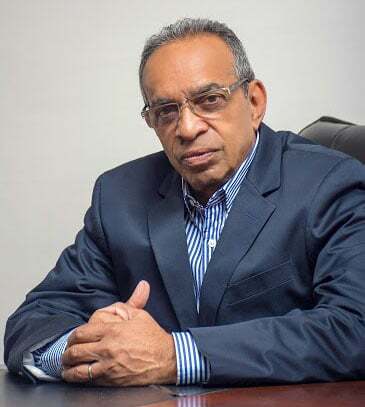 The Cacique Crown of Honour (CCH) is to be conferred on former ambassador, Ronald Austin, businessmen Inderjeet Beharry, Paul Chan-A-Sue, Leslie Chin and Christopher Fernandes. 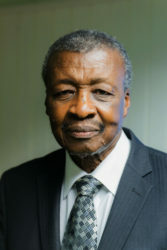 Also to be honoured with the CCH are former Deputy Prime Minister and Leader of the PNCR Robert Corbin, Chief Justice Yonette Cummings-Edwards, Dr Enid Denbow, Dr Carl Max Hanoman and consumer advocate Pat Dial. For his dedication and commitment to the Caribbean Community and his unflinching support for the rights of Small Island Developing States. For long, dedicated and outstanding service as a legal practitioner. For his commitment and service to Guyana in the diplomatic, parliamentary and legal fields and in the public service. For his outstanding service to Guyana in the field of diplomacy. For long and outstanding service in the field of business. For long and outstanding service in the field of business and in the management of a major charitable institution. For his long and outstanding service in the fields of business and management. For his commitment and dedicated service in the field of politics. For her outstanding service in the administration of the law. For her long, dedicated and outstanding service in the field of medicine. For his long and dedicated service in the fields of education and the public service and as a major consumer advocate. For long and outstanding service in the field of business and commerce. For his outstanding service in the Guyana Foreign Service. For long and outstanding service in the field of medicine. For his dedicated service in the field of diplomacy. For his long and outstanding service in tertiary education, in industrial relations and trade unionism and in jurisprudence in Guyana and the Caribbean. For her outstanding service in the field of education and religion. For long and dedicated service in the field of religion. For long and dedicated service to the judiciary of Guyana. For his long and dedicated service in the field of religion. For long and dedicated service in the Guyana Foreign Service. For his long and dedicated service in the field of politics. For long service with exceptional dedication in the Guyana Foreign Service. 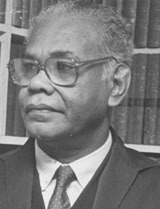 For his unflinching commitment in the safeguarding of the rights of the indigenous peoples of Guyana and his research in the Arecuna language. For his outstanding role in the field of education and in trade unionism. For his long and dedicated service in the field of dentistry. For his dedicated involvement in contributing to the preservation of Guyanese culture in Guyana and in the diaspora. For his long and dedicated service in the field of agriculture. For his outstanding service to the Ministry of the Presidency. For her long and outstanding service as an educator, especially in the area of science. For her long and outstanding service as a music educator. For her long and outstanding service in the field of education. For his long and outstanding service as a parliamentarian and as a Minister. For his long service with exceptional dedication in the maritime and transport sectors and in the field of education. For her long and dedicated service in the field of politics. For her long and outstanding involvement in the field of education as a teacher and administrator. For her long and dedicated service in the Ministry of Foreign Affairs, more particularly in the Protocol and Consular Affairs Department. For her commitment and advocacy in the fields of labour, human rights and education. For his long and dedicated service to Guyana, more particularly in the bauxite industry. For his advocacy for the rights of the indigenous peoples at the village and national levels. For his unflagging commitment to the development of Guyana in the fields of business and infrastructure. For his long and outstanding service in the field of technical and vocational education and as a Regional Chairman. For her long and outstanding service in the field of health and nursing at the national, regional and international levels. 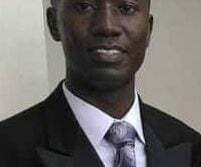 For his outstanding research as a scientist in the rice industry resulting in high yielding varieties with consequential increased rice production. For her long and outstanding involvement in culture, human rights, gender and the environment. 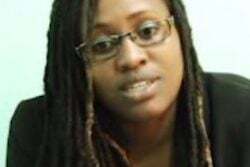 For long and dedicated service as a political supervisor in Essequibo Islands, West Demerara Region, Member of Parliament and as a teacher. For her long, dedicated and outstanding service to Guyana in the field of art. For her dedicated service in the fields of education and music. For his long service with exceptional dedication in the field of medicine, more particularly in the hinterland areas. 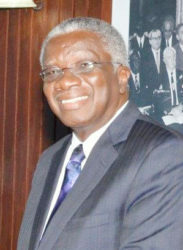 For his long and outstanding service to Guyana, in the fields of finance, auditing and education at the tertiary level. For her long, dedicated and outstanding service in the field of religion. 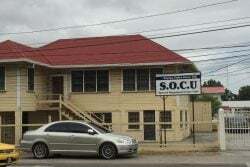 For service of an exceptionally high quality in the Guyana National Service and in the field of banking. For her dedicated service over the past twenty years in caring for destitute children from all parts of the country. For his outstanding involvement in the establishment of the Iwokrama Rain Forest Project. 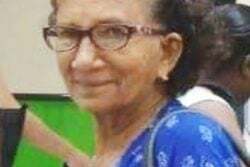 For long service in the fields of cooperatives, local government, community development and farming in Region Nine, Upper Takatu/Upper Essequibo. For his long and dedicated service in the forest industry and as a sportsman and youth leader. For his long and dedicated service as a community worker, a regional councillor and as a businessman. For his long and outstanding contribution in the arts, especially as an illustrator and folklorist. For her long, dedicated and outstanding service in the fields of education and health. For his long and dedicated service as a public servant. For his long and outstanding service as a land surveyor and land administrator. For her long and outstanding service as a community health worker. For her long service with exceptional dedication in the field of politics. For long and dedicated service in the field of communications. For her long and dedicated service as a public servant. For her long and dedicated service in dance education. For her long service with exceptional dedication in the Ministry of the Presidency. For her long and dedicated service in the Ministry of the Presidency. For his outstanding service in the field of art, promoting the use of indigenous material in art and as a former public servant. For long service of a consistently high quality in the field of tailoring. For his effective service in hospital management and for long and dedicated service in the Guyana National Service. For her long, dedicated and outstanding service in the field of education, women’s affairs and politics. For his long and dedicated service as a public servant, rice farmer, businessman and politician. For his long and dedicated service as a driver in the Ministries of Public Infrastructure and Public Health. For his consistent and outstanding role in implementing innovative measures in successfully increasing the yield of rice. For her long service with exceptional dedication in the Public Service, more particularly in the Ministry of the Presidency. For his long and outstanding service in the fields of crops and livestock around Guyana, more particularly in the hinterland regions. For distinguished service beyond the normal call of duty as an Officer in the Guyana Defence Force. For sustained and dedicated service of a high order in the Guyana Police Force. For sustained and dedicated service of a high order in the Guyana Fire Service. For sustained and dedicated service of a high order in the Guyana Prison Service.